Charlotte Wedding Inspiration - The Providence Cotton Mill. This Maiden, NC, shoot was designed around the idea that every wedding is magical. We, as vendors, want to create that feeling for all of our brides. 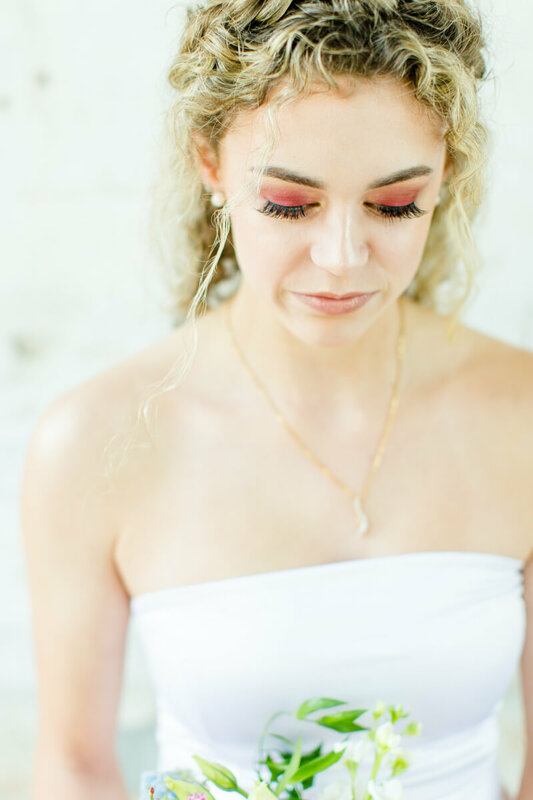 In this shoot, we wanted to show that the bride is the center of that magic. Even in winter, the bride (our Greek Goddess) rides in on her horse, magically changing the winter landscape into a wonderland of flowers and color. She is the center of this event. Every aspect of our Greek Goddess' wedding is enchanted, from her entrance on her trusty steed to the garlands on her table. Our incorporation of a floating farm table was a way to push the imagination even further. After all, every bride is looking for that fairy tale ending!